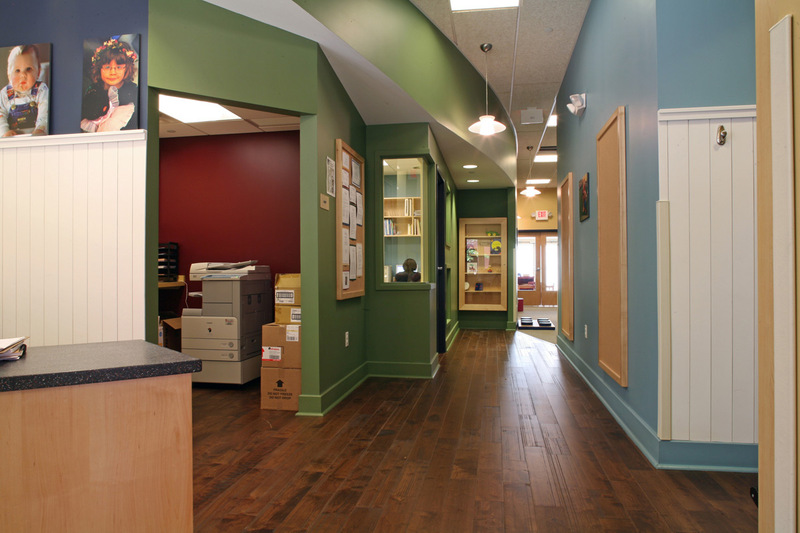 Located adjacent to American Eagle Outfitters world headquarters in Pittsburgh, Pennsylvania, this 8,000 square-foot center is designed to reflect the image of the American Eagle Outfitters brand and corporate offices. 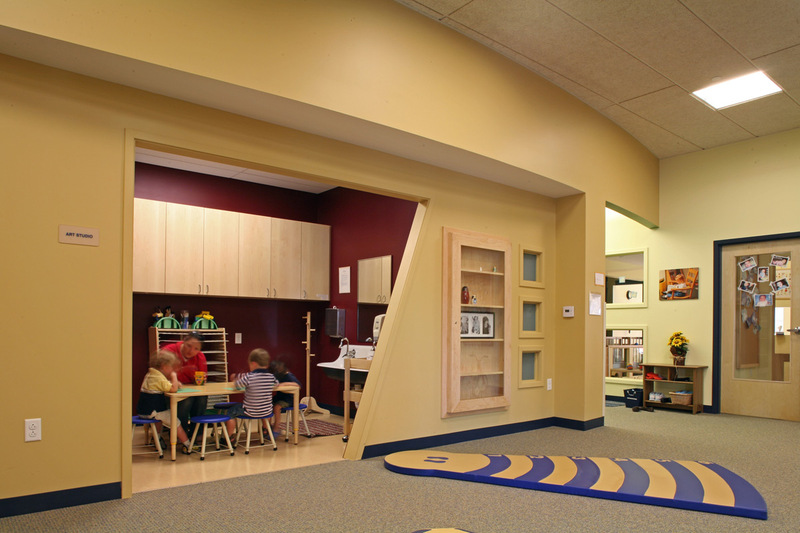 The bright, open classrooms pair with bold warm colors to help promote this continuity. 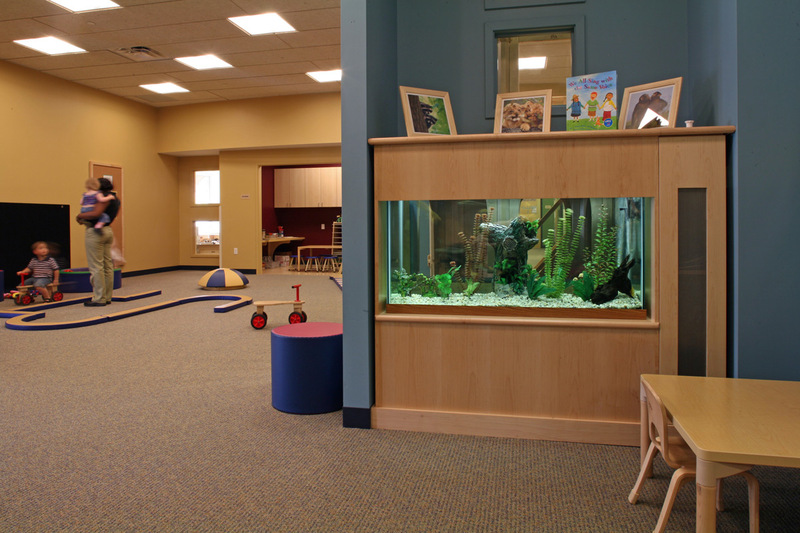 The center includes an art studio, a learning resource center and a centrally located gross motor skills space all of which are designed to develop and stimulate growth. There is also a “School’s Out” component to accommodate employees on school breaks. The center is located in a retail section of Pittsburgh where it shares a building with several shops, including an American Eagle Outfitters store. 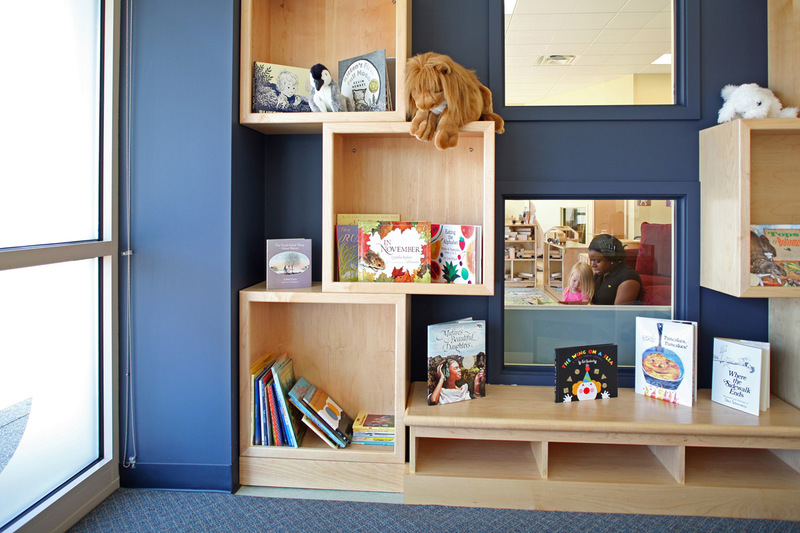 It is designed to meld into the existing culture of the surrounding neighborhood, while providing a unique space for the children who attend. studioMLA Architects carried this project through design development. A local architecture firm produced the working drawings.